Saturday marked another action-packed ArtStarts on Saturdays workshop. Milton Randall dropped by to teach kids & parents about the language of drumming. 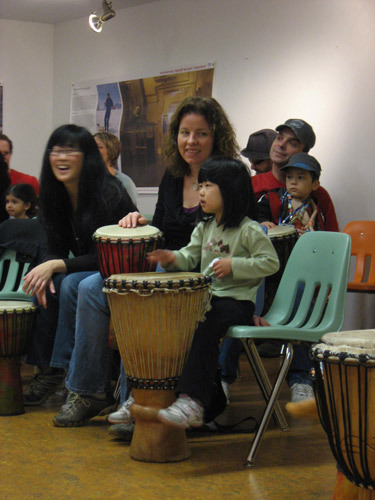 Participants got a workout and practiced their counting skills as they banged on their individual drums. Thanks Milton for an awesome workshop! We look forward to our next Saturday workshop: March 27 will feature Indian Dance with Sudnya Mulye. Don't miss it!